University of Washington scientists have completed the first, Arctic-wide analysis of changes in sea ice that have the greatest impact on polar bears — particularly the shift toward an earlier melt and a later freeze. It’s no surprise that the future isn’t bright for polar bears. The massive predators’ dependence on Arctic sea ice puts them at extreme risk in a warming world and has already earned the animals a “threatened” designation on the U.S. endangered-species list. 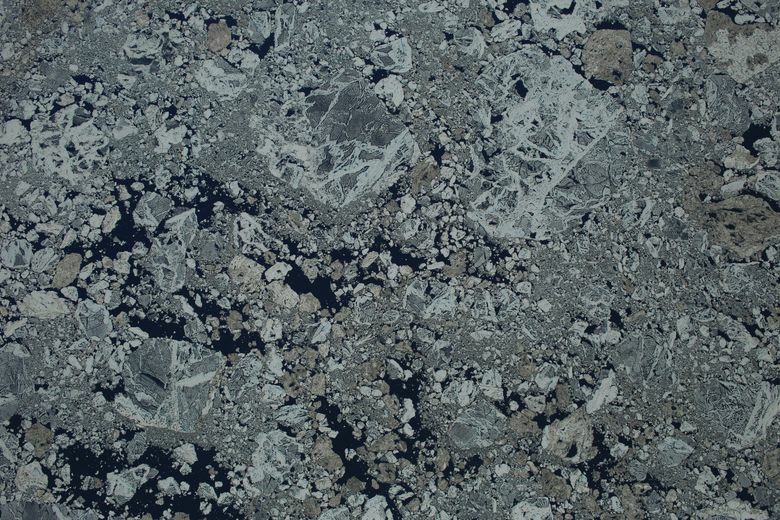 But most studies of polar-bear habitat have focused on ice conditions in discrete regions or at specific times of year. 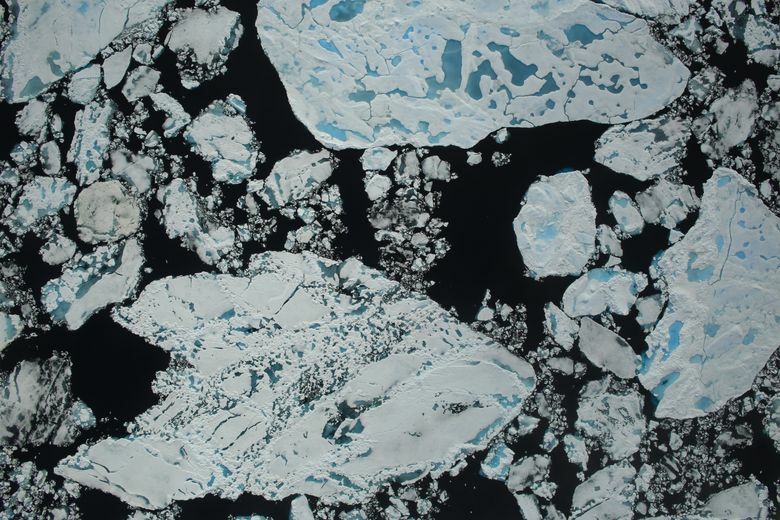 Now, scientists at the University of Washington have completed the first, Arctic-wide analysis of the changes in sea ice that have the greatest impact on the bears — particularly the shift toward an earlier melt and a later freeze. 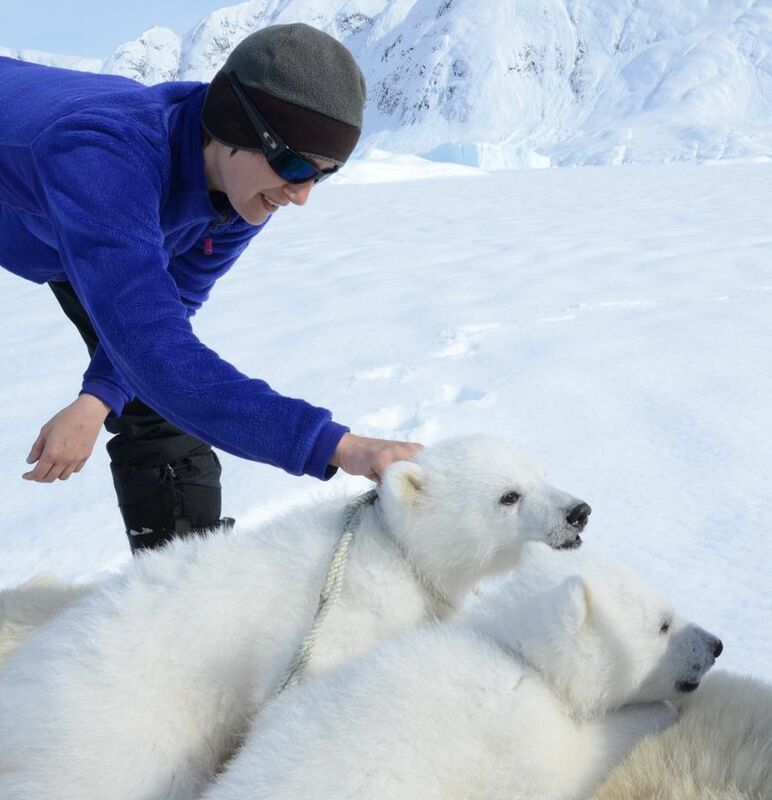 For the analysis published Wednesday in the journal The Cryosphere, Laidre and UW polar researcher Harry Stern used 35 years of satellite data on sea ice concentrations in all 19 Arctic regions where subpopulations of polar bears live. 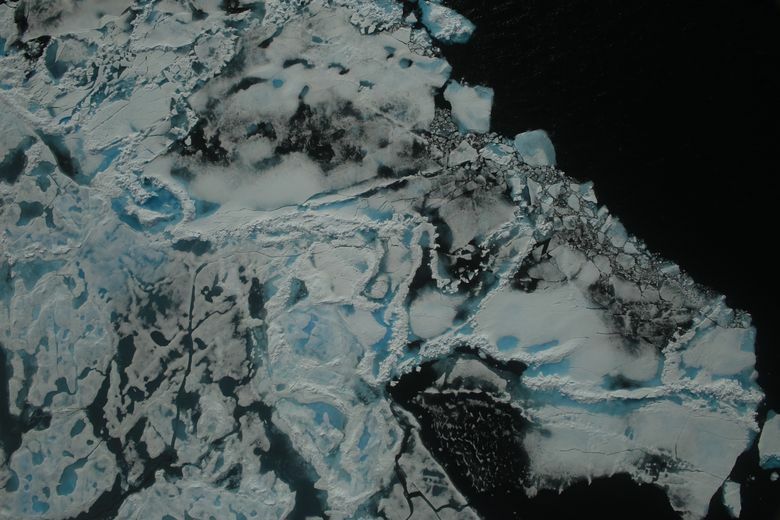 Between 1979 and 2014, they found that the spring melt occurred about 3.5 weeks earlier on average, while the freeze-up in fall started about 3.5 weeks later. That means about seven fewer weeks of good ice conditions for bears. If the trends continue, the bears could lose another six to seven weeks by the middle of this century, Stern said. Few species are so closely tied to ice as the white bears. 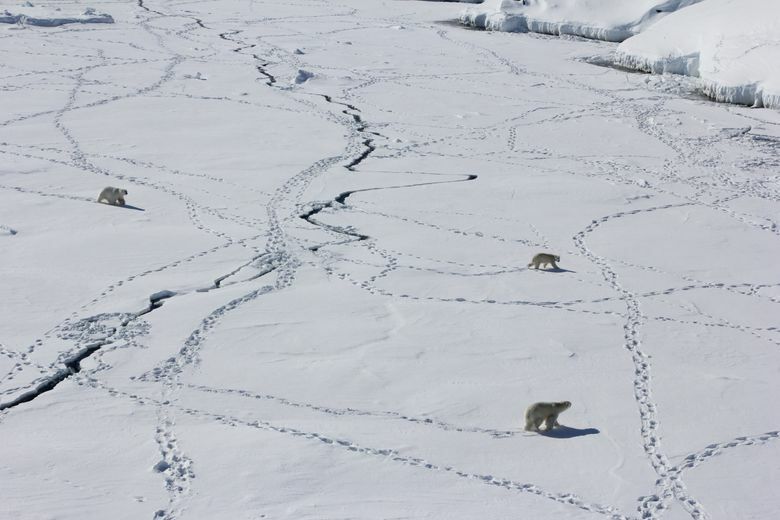 Sea ice is the platform from which polar bears hunt for seals, their principal food. They travel via ice, and find mates there. “If the ice forms later or breaks up earlier, you have a reduced time period when bears are out on the ice doing all these critical things,” said Laidre, who has spent 16 years studying Arctic mammals and seven years trapping, tracking and monitoring polar bears, most recently in eastern Greenland. The absence of ice in early spring, when females and their cubs emerge from their dens, can be particularly perilous. “Those females haven’t eaten since the previous fall,” Laidre said. Many polar-bear populations live in parts of the Arctic where it’s normal for ice to melt in summer. They’re adapted to spending some time on land, where they fast or scavenge for low-nutrient foods, like birds, eggs and animal carcasses. But if two hungry months are stretched to three because ice is slow to freeze, the animals could be pushed beyond their survival limit, Stern said. 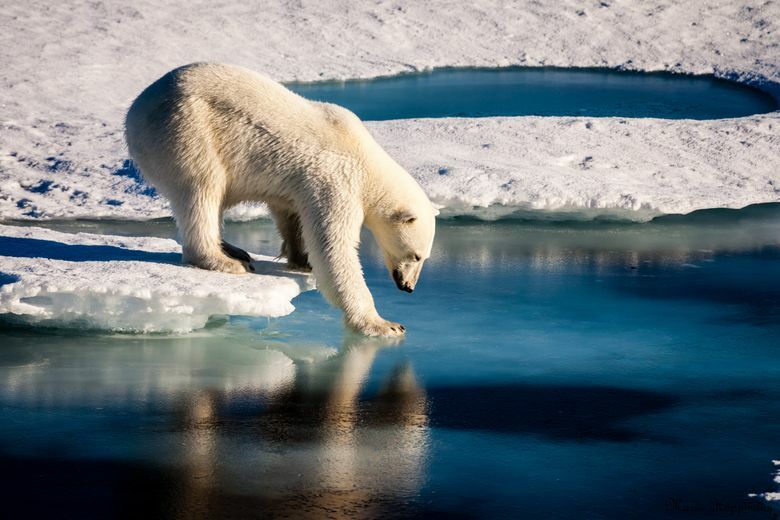 Other bears follow the ice throughout the summer as it melts and retreats toward the North Pole. But even for those animals, pickings are slim because fewer seals live in the deeper water, Laidre explained. 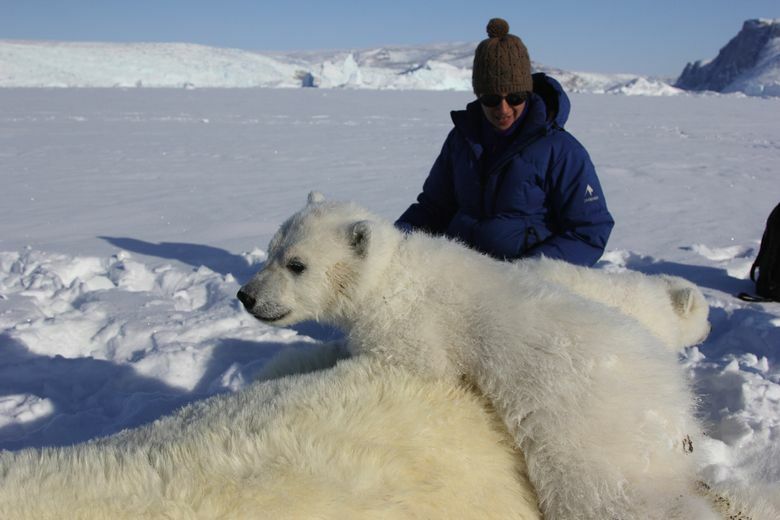 Scientists are already documenting impacts of shrinking sea ice on polar bears in some areas, said Eric Regehr, an Alaska-based polar-bear biologist for the U.S. Fish and Wildlife Service who was not involved in the UW analysis. In the Hudson Bay area of northern Canada, polar bear populations have declined overall, and survival of young bears is lower when sea ice melts earlier. In the Beaufort Sea, which borders Alaska and Canada, loss of sea ice is correlated with thinner bears and lower survival. In Greenland, where Laidre works, hunters also report thinner bears and more animals spending time on land in the summer. But in other areas, like the Chuckchi sea off Alaska’s northern coast, populations and individual bears still appear to be healthy, Regehr said. Data from the project, which was funded by NASA and the Greenland Institute of Natural Resources, is also being used by the International Union for the Conservation of Nature — the organization that evaluates the status of species worldwide.